HomeInternetSEOHow To Get Unique & SEO Friendly Articles at Low Cost? Writing and Managing of SEO friendly content for new websites has always been a big challenge for website owners especially if they don’t have enough knowledge of SEO or online marketing. Writing an SEO article is different than general article writing because of Google and other search engine algorithms. 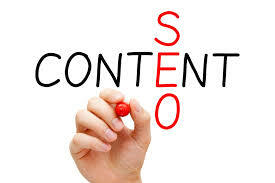 The professional content writers keep the targeted keywords and audience in mind before writing an SEO article. They research the topic very well before producing a masterpiece which results in higher SERPs results. Google always likes unique and grammatical error free content and gives it the priority on the top search result page. Who Should Write for Your Website? It is always better to write your website content yourself because no one else knows your business better than you. But, producing content regularly for targeted pages, and for external blogs or link building is not an easy job. Also, it takes a lot of time and research to write repeatedly on the same topics, and this become annoying for many people. Where to Buy SEO Friendly Articles? There are thousands of freelance content writers available online to provide content on any topic at low prices, but I will suggest you buy SEO friendly articles from any professional content writing firm than to get it done by the freelance writer. Most of the time, freelance writers provide spin or thin content because they charge a slight amount for an article, and don’t have a chance to research the topic and market for you. On the other hand, content writing firms consist of professional writers with extensive knowledge of SEO and digital marketing techniques. How To Check The Quality of Content? It is a big challenge for non-native English speaking to gauge the quality of content, but thanks to some great online tools which provides the best help to understand the quality. The tools like Grammarly, not only correct the grammar of your article, but also it checks the plagiarism and gives great assistance to improve the quality of the content. You can use it as a free member, but to get full profit, you must purchase its premium membership. The professional content writing companies like Michael Words can provide you the best content at very affordable prices. They have huge experience of writing SEO friendly posts for their client and knows how to get more traffic towards your website with their catchy content.